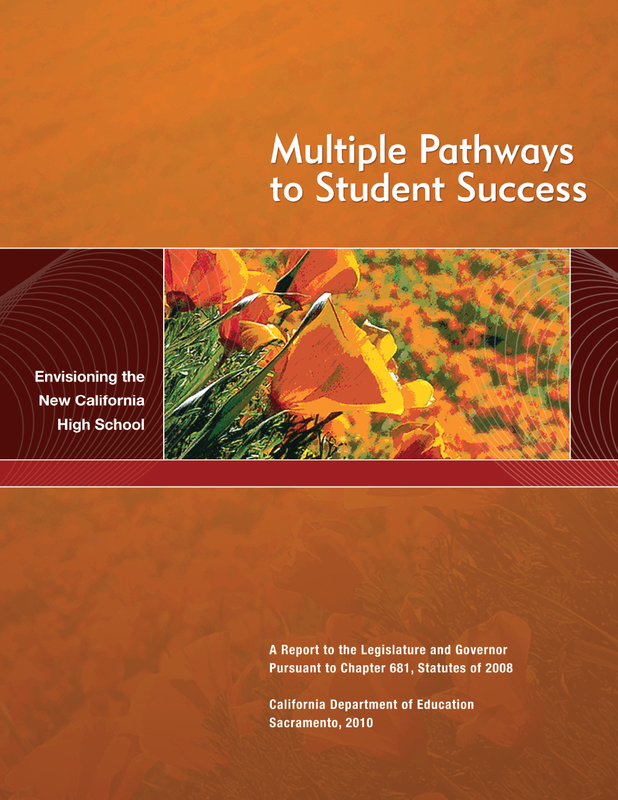 Multiple Pathways to Student Success — in examining the means and conditions needed for expanding multiple pathways statewide — explores the ways in which this approach might fulfill California’s need for a more cohesive vision of high school education. The report concludes with policy recommendations, an action agenda that provides a bold vision for high school reform as it builds upon the multiple pathways approach, and a list of stakeholders who were consulted during the preparation of this report. WestEd's work spans K-16 education and beyond. This issue of R&D Alert addresses a topic that connects the upper levels of this span: postsecondary readiness. 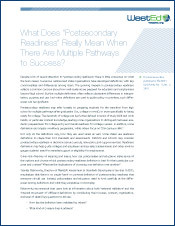 What Does “Postsecondary Readiness” Really Mean When There Are Multiple Pathways to Success? "Postsecondary readiness" refers broadly to preparing students transitioning from high school to the multiple pathways after graduation, or specifically to being ready for college. But there is little consensus on what the term means. The growing interest reflects concern about how well students are prepared for education and employment beyond high school. But the multiple definitions reflect substantive differences in interpretation, purpose, and use. In planning policy or priorities, such differences can be significant. 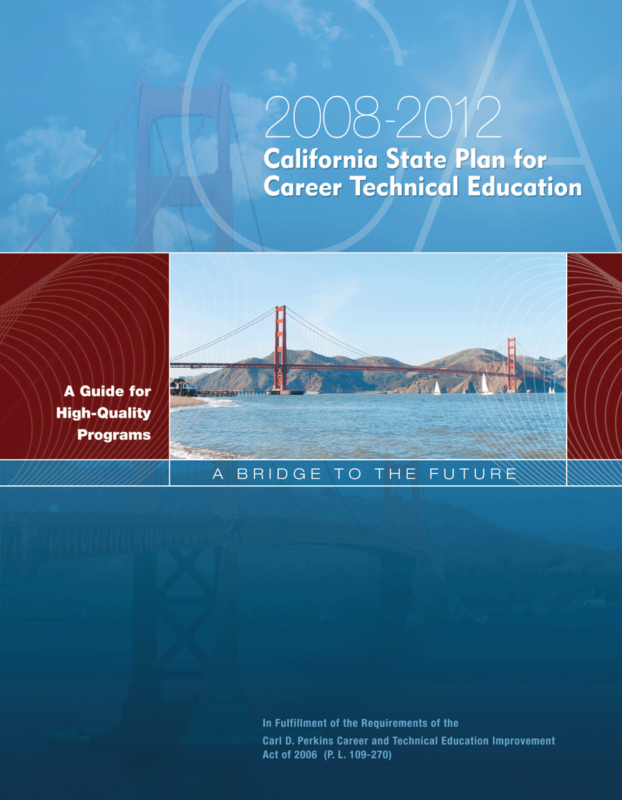 This California State Plan for Career Technical Education, approved in March 2008 by both the State Board of Education and the Board of Governors of the California Community Colleges, establishes the vision, goals, and essential elements of a world-class career technical education system for the State of California. P-16 Reform Assistance to High Schools and Postsecondary InstitutionsLearn how to interpret and use data, research, and/or policy related to secondary and postsecondary education.